Miranda had done landscaping work for Sorenson for 13 to 14 years, including weeding, trimming, maintaining a front-yard pond, and so forth. Miranda did not hold a contractor’s license nor did she have insurance. Jones worked as a helper for Miranda about twice a year and was paid by Miranda. Jones had worked at Sorenson’s four times before. On the day at issue, Jones used a ladder to trim branches from an oak tree at least 15 feet tall on Sorenson’s property. While Jones was trimming a branch about eight to ten feet off the ground, she fell from the ladder. While the parties disputed the facts, Jones claimed that Miranda stopped holding the ladder. 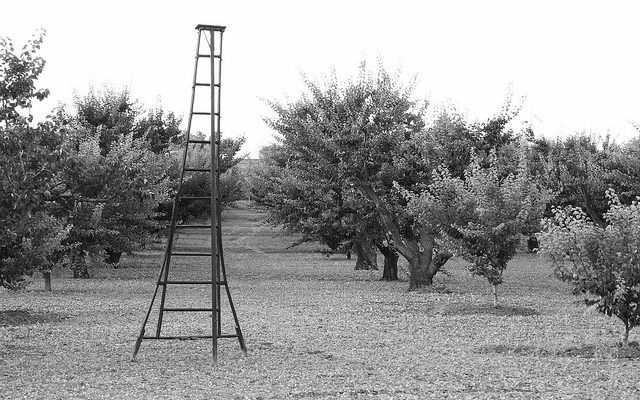 Miranda claimed that Jones was “chopping” at the branch rather than “cutting” the branch, which caused the ladder to bounce, and this was the reason why Jones fell. And Sorenson claimed that she had hired Miranda that day for routine pond and landscape maintenance, not to trim trees. (a) That the individual has the right to control and discretion as to the manner of performance of the contract for services in that the result of the work and not the means by which it is accomplished is the primary factor bargained for. (b) That the individual is customarily engaged in an independently established business. (c) That the individual’s independent contractor status is bona fide and not a subterfuge to avoid employee status. A bona fide independent contractor status is further evidenced by the presence of cumulative factors such as substantial investment other than personal services in the business, holding out to be in business for oneself, bargaining for a contract to complete a specific project for compensation by project rather than by time, control over the time and place the work is performed, supplying the tools or instrumentalities used in the work other than tools and instrumentalities normally and customarily provided by employees, hiring employees, performing work that is not ordinarily in the course of the principal’s work, performing work that requires a particular skill, holding a license pursuant to the Business and Professions Code, the intent by the parties that the work relationship is of an independent contractor status, or that the relationship is not severable or terminable at will by the principal but gives rise to an action for breach of contract. In addition to the factors contained in subdivisions (a), (b), and (c), any person performing any function or activity for which a license is required . . . shall hold a valid contractors’ license as a condition of having independent contractor status. (a) The term “contractor” includes all of the following: . . . The Court of Appeals for the Third District disagreed. Under the Food and Agricultural Code, explained the Court, nursery operators are required to be licensed to sell horticultural products. Thus, explained the Court, while Business and Professions Code may not require that a nurseryman hold a contractor’s license for pruning trees in the normal course of his or her routine work, “a nursery person is legally defined as a licensed professional engaged in cultivating plants” and Miranda had no nurseryman license. In short, good try, but no dice. For property owners and lessees, and residential homeowners in particular who may not think twice about the work their gardeners perform, Sorenson is a stark reminder that when asking your gardener or anyone to perform work requiring a license to make sure they are in fact properly licensed.